An ancient Greek philosopher once said, “The only thing that is constant is change.” Thousands of years later, this saying continues to ring true, as we all constantly address change in one way or another. It is how we react to “change” that is most important and most vital for our health and well-being. For members of the senior community, for example, aging is a natural, inevitable factor of change. As older adults age, many would prefer to stay in their homes as long as they can, enjoying the independence offered by living in their own homes, and utilizing outside resources, such as Home Health or Private Duty, to assist them as needed. However, many others have chosen to pursue a different path — moving into a retirement community that caters specifically to seniors. Some choose this path because they want to move into an apartment without having to worry about housekeeping and maintenance. Some choose it because they are still able to live independently, but need minimal help with their daily care. If you or an older loved one is debating on making that transition, you need to be mindful of what a modern retirement community can and should provide. It is also important to know the benefits of living in a community as compared to staying in one’s home. Modern retirement communities should be able to provide their residents with a flexible, healthy meal plan. At Bethesda’s senior living communities throughout the St. Louis area restaurant-style dining is provided with healthy, tasty meal options, all prepared by a chef. Daily specials are available as well. Wellness programs, including a variety of exercise classes, are another standard for which most potential residents and their families look for in a modern retirement community. 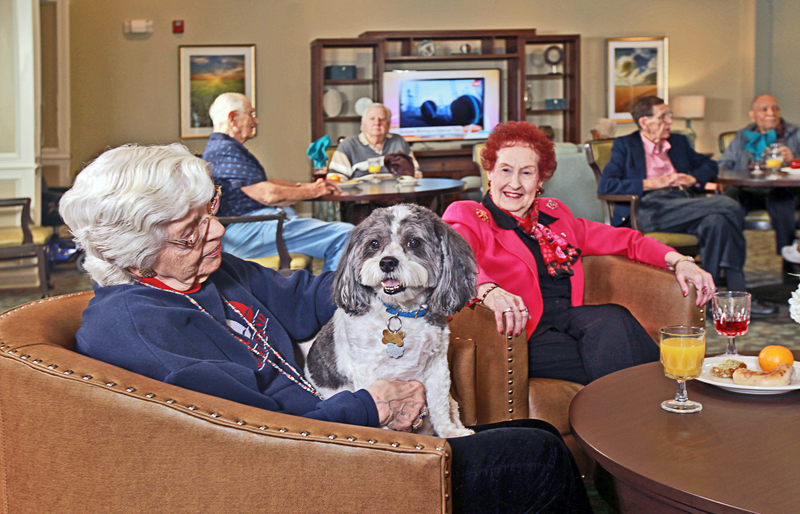 In addition, most will seek senior living communities that offer continued education, cultural trips, and intergenerational opportunities to assure the resident can still be vibrant and active. Retirement communities all offer different services and amenities, and you should tour any community on your list to make sure it matches the lifestyle you prefer. “It is so important to visit the community you are considering and to ask questions,” Sherry advises. Which activities or wellness programs are offered? What services can the organization provide in the event a resident has a change in health? For example, can residents “age in place” by bringing additional home care into their independent living home? Does the organization offer higher levels of living, such as Assisted Living, Memory Care, and Skilled Nursing? To remain competitive, modern retirement communities must continue to keep up with changes in the care and service needs of seniors and societal expectations. Schedule a tour at one of the six Bethesda retirement communities in the St. Louis area to see the wide range of activities and social opportunities available, or contact us to learn more.